Sports events are as fun and exciting to watch and even to be part of playing. 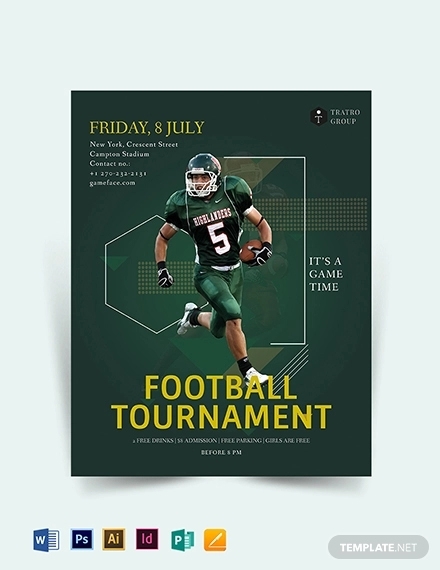 One great way to know a sports event is approaching is through promotional and advertising collaterals such as flyer designs which can be applied both on physical print and set on a digital media vehicle. Flyers provide a one-way communication which you need to set all necessary details for the viewers to imprint. 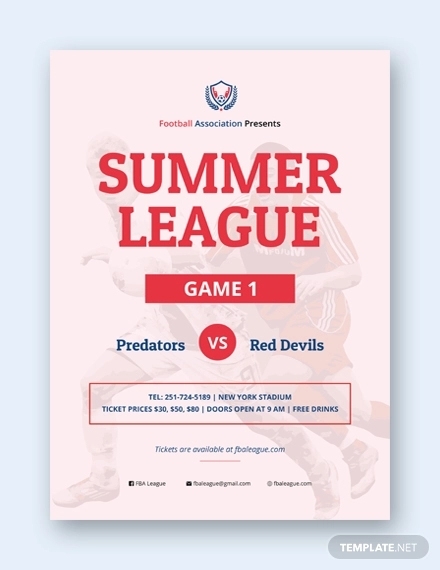 With the practicality of the flyers, it should also display the event in the best way that sparks the interest of potential sports watchers and allow a visual imprint of the event. If you are having trouble designing one, don’t fret. 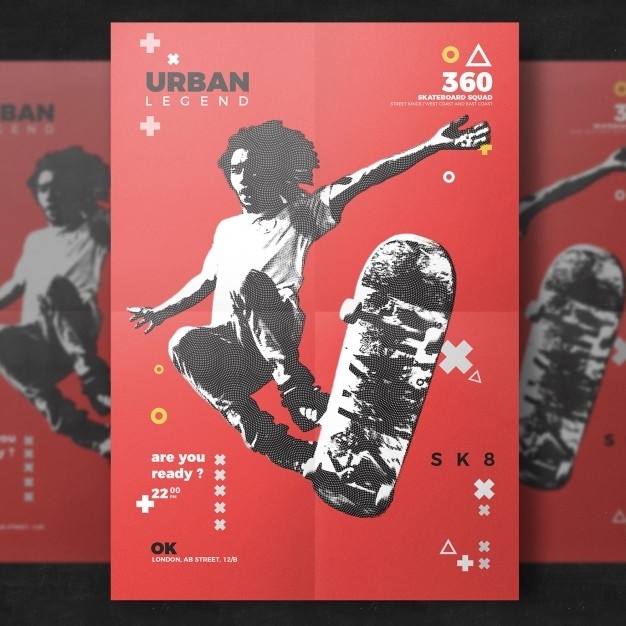 In our list down below, we have gathered fifteen sports flyer designs that feature a variety of sports be it basketball, hockey, golf, football and many more. 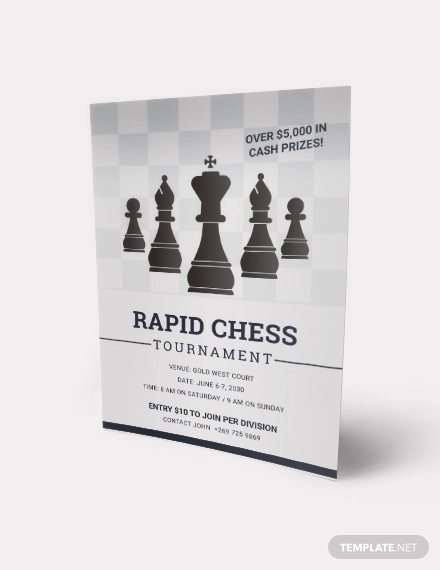 Invite your guests and potential sports watchers to an upcoming sports event with the use of eye-grabbing flyer designs given with an ample space for technical details you may need to place. If you want more options in terms of sports flyers, you may scan through our list of racing flyer designs. An Assortment of Sports Flyers Worthy of Viewing. Sports are competitive in its nature and require physical and mental activity. Spectators will observe a long duration of movement from the participants which adds excitement and anticipation to the game. In that case, what will make sports flyers worthy of viewing? The latter has a unique design treatment to it since it involves the application of dynamic perspective to demonstrate movement and activity or even the point of view of the players. 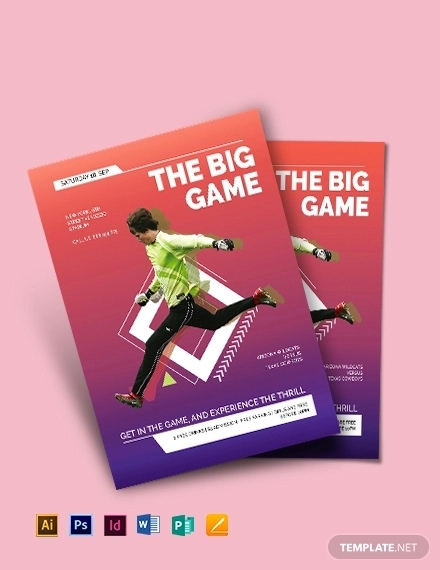 With no further ado, bask in unique features and various design styles incorporated onto sports flyers that will make any sports watcher await any of their favorite or new local and mainstream sports events. Get ready, get set, now off you go! 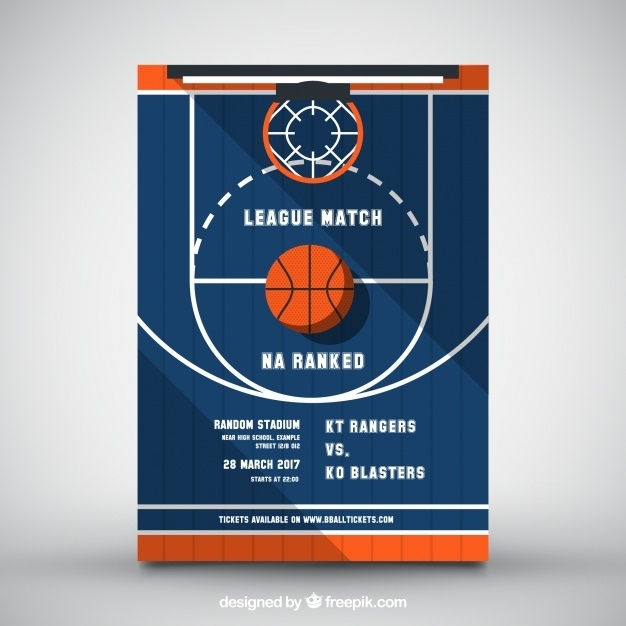 Designed in a flat lay and in a bird’s eye perspective, this Basketball League Flyer and Poster design provides us with a direct visual of a basketball sports game. Despite it being designed in a passive way, the details and elements are equally distributed and overall the design demonstrates minimalism. 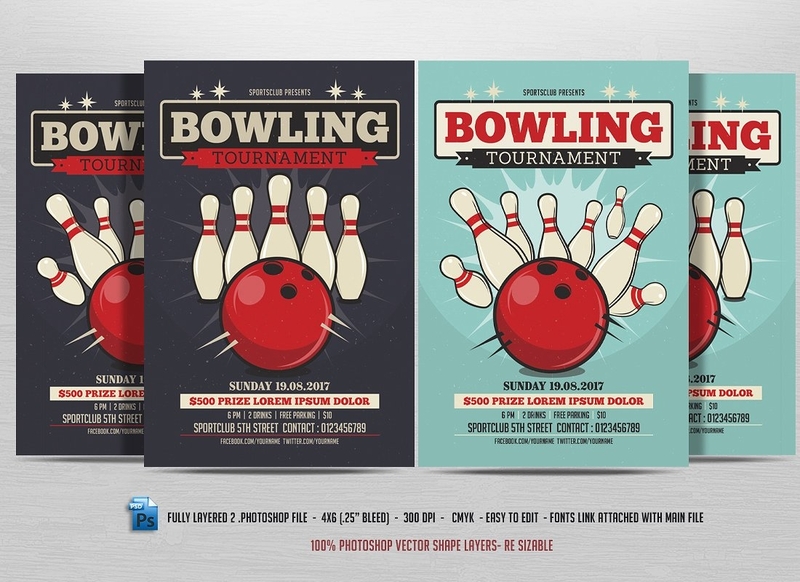 This set of Bowling Tournament Flyer Design comes along with two design and color variations for more options to select. This sports flyer design is set in a dynamic perspective which best demonstrates the throwing nature of the sport. As well as the use of graphics gives ample space for the rest of the technical elements; leaving enough to avoid from overcrowding the placement of the elements. This Volleyball Night Flyer Design Template offers subtlety and a passive take on sports flyer designs. It is set in a volleyball court setting and in a middle aligned type of layout which gives direction and sans of any focal point to ensure imprint on both the flyer design and its parts. Once a viewer scrolls down to skim through the information, the graphics provide direction to the small details placed beside it and directs the viewer to the rest of the elements. 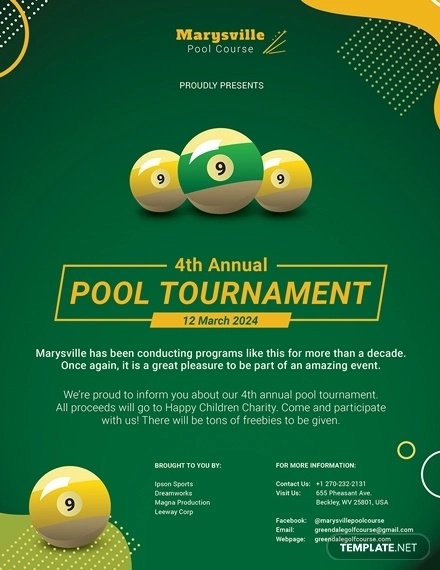 If you are looking for a rather competitive type of sports flyer design, then lucky you. 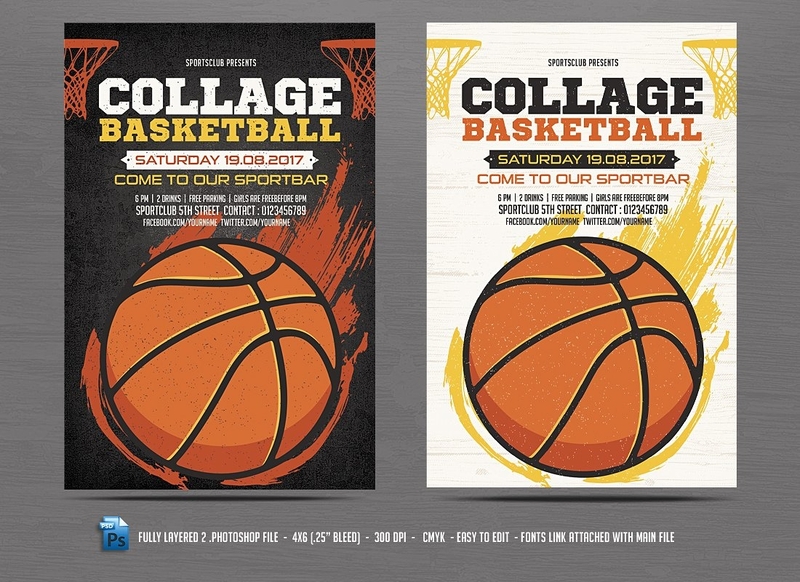 The College Basketball Flyer Design Template offers just that creative direction with its brilliant use of textures to create visualization of heat and dynamic appearance as well as adding dimension to the graphics and overall flyer design. The latter does bring emphasis on the text thus creating a hierarchy with the text and image placement. 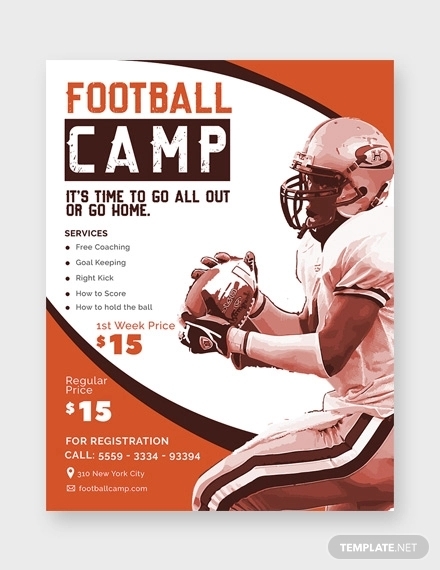 This specific sports flyer design comes along with two color variations for a broader selection. With the use of a point of view perspective gives the design a dynamic result. 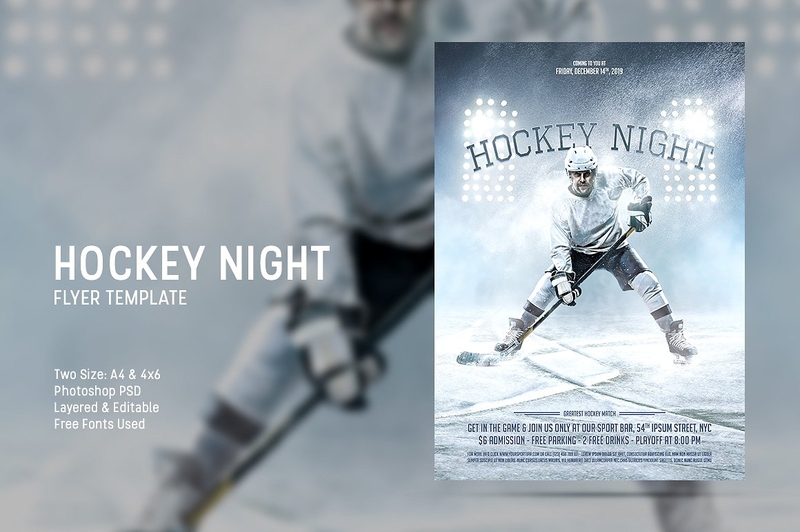 If you want to use this specific sports flyer design that is beyond its original agenda, you may freely utilize this flyer for sports related movies or musical be it as a design reference and so on. As well as a cover page for book or special interest magazines. Flyers heavily state the necessary details and information regarding about what is presented on the medium. 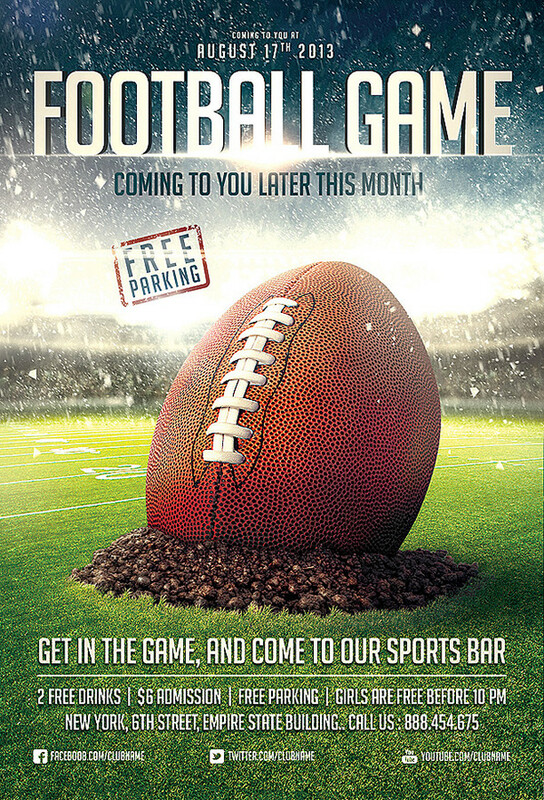 In this case, the Football Game Flyer Template Design went with such move to provide their customers and potential sports watchers as to why they should visit this specific sports bar. Given that the details are plenty, it is to note that these technical elements placed in a quiet background to allow readability of the text. What a heated competition! 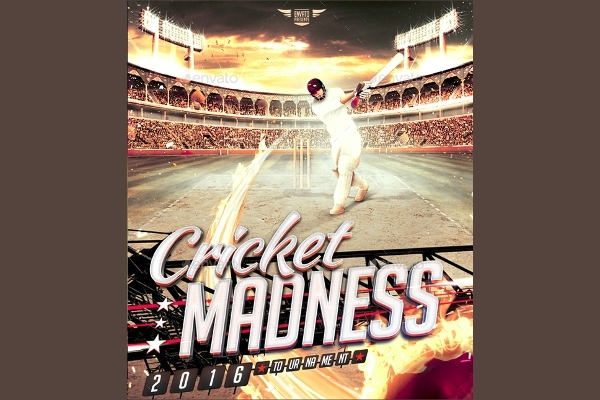 This specific cricket madness sports flyer design best demonstrates the application of dynamic angle to display the intensity of the game and point of view. The design elements are well textured to provide the realness of the subject and movement. 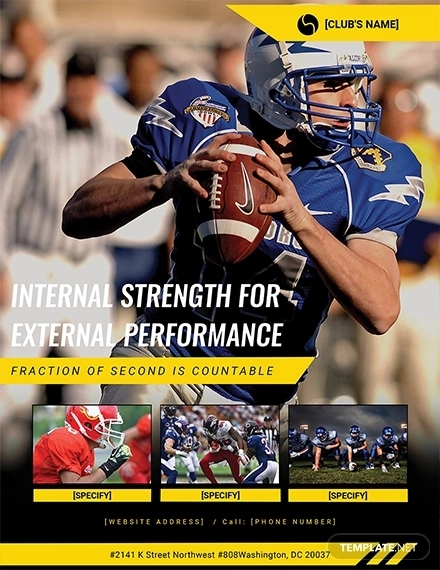 It is best to be direct in terms of messaging for your flyer design especially for designs pertaining sports. 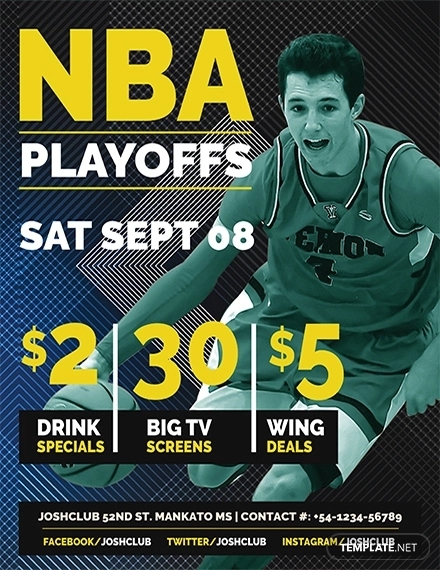 Which is best represented in this sports flyer design with a dominant use of graphics and minimal text. 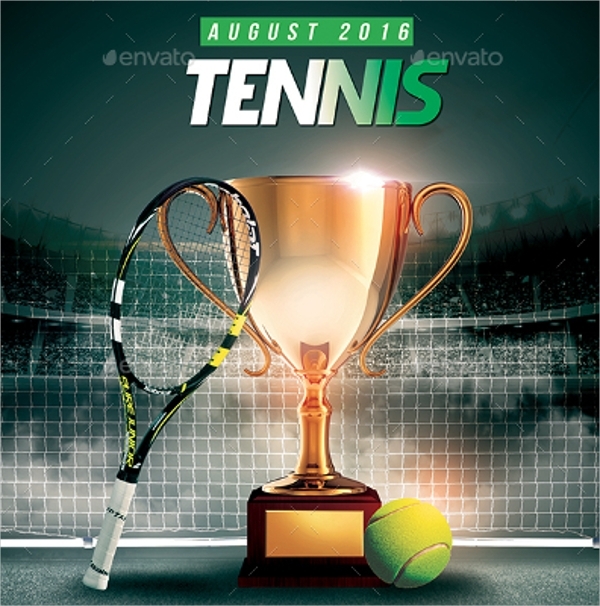 You may freely use this sports flyer design for national and school based tennis championship events. Though skateboarding is deemed as an underground sport, we have seen its emergence in the mainstream culture and skateboard enthusiasts has been practicing their craft ever since. With that said, skateboarding events should receive a great design treatment. This specific sports flyer design incorporates a swiss design style and illusions set in the subject, thus creating texture and character. The beauty of this sports flyer design is its moderate application of a worm view perspective. Which is applied to its typographical elements and the form of the subject. It receives a dynamic angle in its overall appearance and the technical elements are equally distributed with placements that offers readability. With its dominant use of the color blue, the red elements on the subjects serves as the focal point for a quick visual imprint as well as to bring in a pop of color in a cool color scheme. Kids have all the fun and they enjoy in physical activities. Common physical activities schools organize are sports day dedicated to kids as well as a family bonding with parents and relatives. 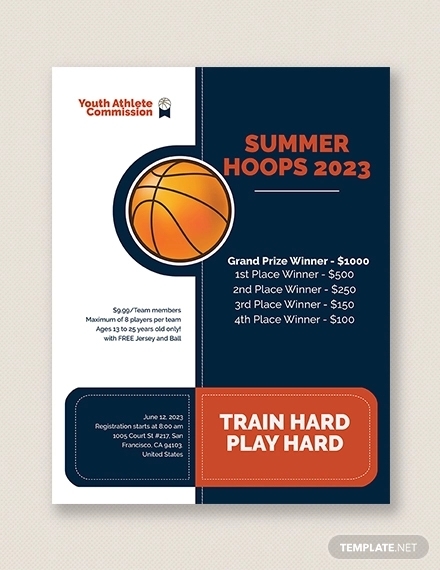 If you are creating a sports flyers design, make sure to target it towards adults and parents without leaving the playfulness and excitement which kids get interested. 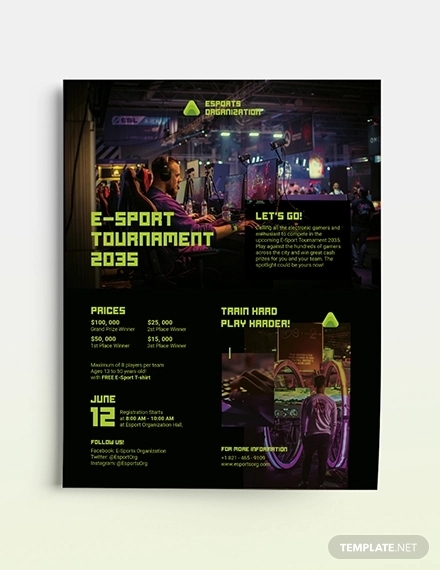 A brilliant feature in this sports flyer design is its demonstration of camaraderie among children which is the main objectives of these types of activities and events. 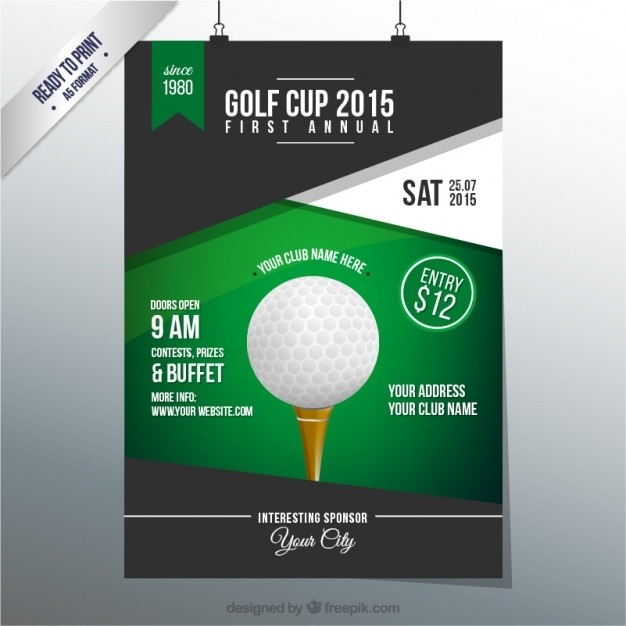 If you are looking for simple depictions for your sports flyer design, the Golf Cup Tournament Flyer Design offers such creative direction. The latter designates the golf ball as the focal point of the design with the help of layered shapes which encloses the golf ball. By adding shapes provides an individual placement of several technical elements across all spaces available. As well as incorporating the color green as a background colors brings in a pop of color in a monochromatic use of color palette. This specific flyer design focuses its style by incorporating angular shapes and its application towards the typographical elements. In terms of the color use, the green advances in its composition or visual plane while the monochromatic color palette recedes in the overall appearance. Thus, allowing the design and technical elements to be placed in a passive and quiet background. 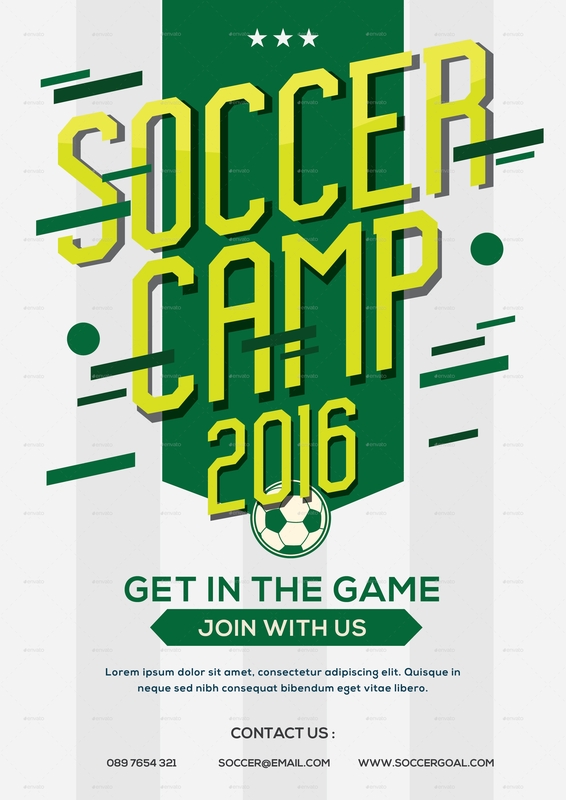 The design of this sports flyer design is appropriate for soccer recruitment purposes or beyond its agenda. The call of action placement as well is set with the necessary contact details which you may customize if you wish. If you are considering a retro and vintage theme for your sports flyer design, then look no further. The Retro Pool Billiards Night Flyer Design Template styled its sports flyer design with a retro theme with the help of typographical and design elements as well as the dated color scheme. The touches of red contrast the earthly and vintage color palette as well adding depth to the overall design. 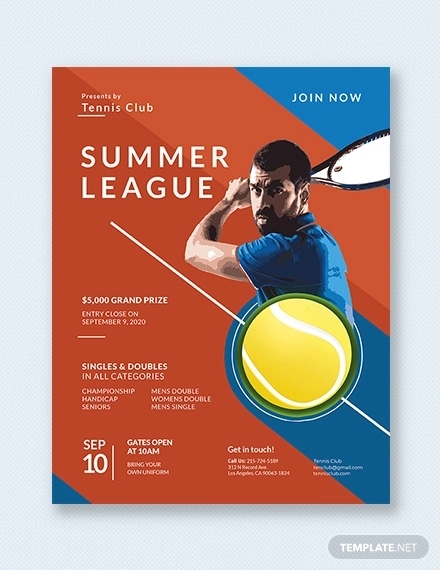 The beauty of this sports flyer design is its theme on a copy as well as the use of the image to convey an image regarding the sport and its participant. The theme used for its copy is reading between the lines as the bold text might indicate an association with fashion preference. But it takes you to the supporting idea of what the sports Karate can offer and most specifically what honor it holds to be able to acquire such rank in the sport. 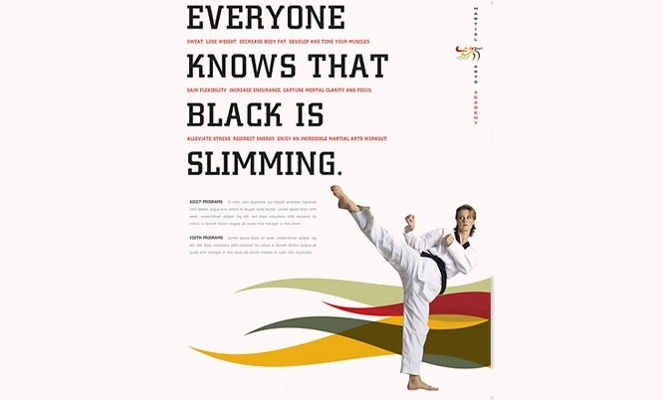 Defy expectations and polish such rough diamond with the use of this Karate sports flyer design. For its play on words and copywriting is effective in conveying its message and is an attention-grabbing an example. Flyers are one effective traditional media vehicles in terms of promotion and advertising especially now that flyers are used in a digital medium to reach its demographic immediately and effectively. Before we call it a day, we have more to sports flyer designs were glad to share with you. You may skim through our list of bowling flyer designs which features various design styles to match your theme and design preference. Also, we have gathered a collection of baseball flyer designs to promote any of your upcoming baseball events. We hope that this list is a great help to your design projects and for future references.